The iVote Foundation is a nonprofit and non-political organization. For almost a decade, the founders of iVote have worked in the area of technology solutions, learning and consulting. During this period, iVote has engaged in significant non-profit work with local and international NGOs and foundations, multilateral organizations and international institutions. 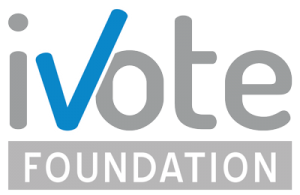 In 2013, a group of citizens decided to register the iVote Foundation in order to effectively implement new, mission driven and philanthropic programs to support governments, NGOs and ordinary citizens in the supply and demand of democratic processes. The mission of the Foundation is building democracy through the application of innovative management and learning systems. Our technology-driven work in improving government administration and services, advancing the capacities of civil society and providing expert services and analytical research has begun in Macedonia and has taken our team to additional countries in the Balkans. iVote Foundation has been implementing projects in the area of improving employability skills and basic coding for people with disabilities. The Foundation is working with USAID , EC in the area of developing an online platform with fully accessible soft skills and IT courses, supported by mentorship and internship practices. Foundation is in the process of establishing IT HUB (IT Community) for people with disabilities, for the first time in the Balkan region, that would help young people with disabilities develop themselves in the IT, create awareness in the business sector regarding employing people with disabilities and cooperating with them, and their social inclusion through technology in Macedonian business sector.